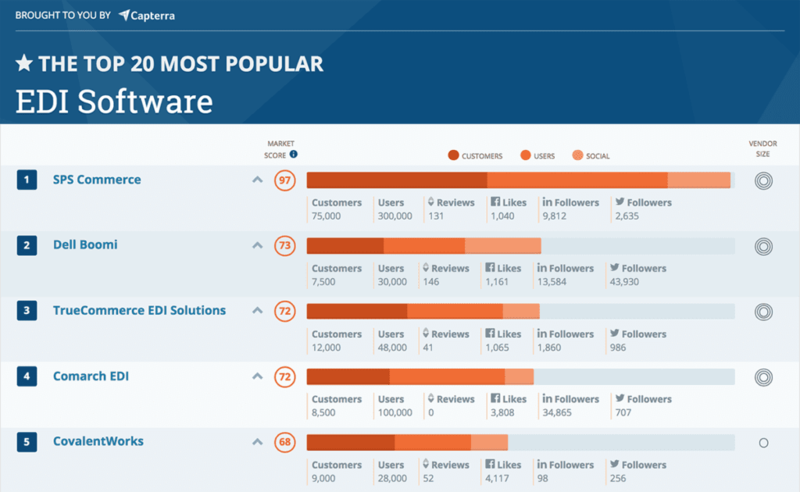 In a recent report, Capterra, a Gartner company, ranked SPS Commerce as the most popular EDI software based on customers, users and social presence with a market score of 97, more than 24 points higher than the next EDI provider. SPS has been ranked #1 by Capterra since the inception of this report in 2017. Capterra is the leading online resource for business software buyers. Founded in 1999, Capterra features validated user reviews and independent research across hundreds of software categories. Each month, Capterra helps more than three million buyers find the right software. How have SPS products helped SHOP.COM, in real numbers? The story and data can be found in this free downloadable case study.